Removal ProcedureRemove the applicable camshaft(s). Refer toCamshaft Replacement - Right Side.Remove the rocker arms. Refer toValve Rocker Arm Removal - Right Side. Install the lifters. Refer toValve Lifter Installation - Right Side.Install the rocker arms. 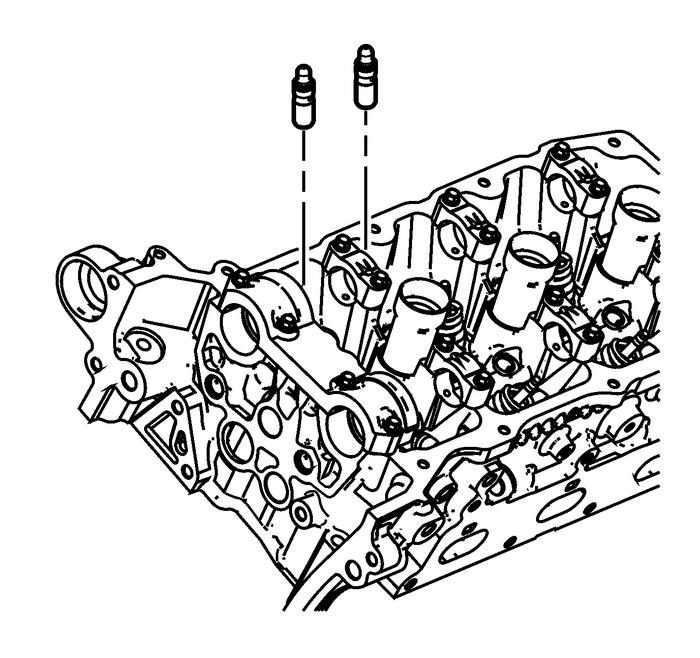 Refer toValve Rocker Arm Installation - Right Side.Install the applicable camshaft(s). Refer toCamshaft Replacement - Right Side.